Suzanne lacy is currently looking for women aged around 60 and older, from all communities but who live in the UK, to take part in her ‘temporary participatory action’ project which is called ‘Silver Action’. This work will explore British history by looking at the political activism of women. So she is interested in connecting with women who have been involved in social and political movements such as the Miner’s Strike (1984), the Housewives Register (1960), the demonstration at the Miss World Competition (1970), the formation of the Southall Black Sisters (1979) and so on. The project will include personal stories, personal experiences and an action in the Tanks at Tate Modern. It looks set to be a very exciting piece. She went on describe her mother’s beauty as “an expression of her strength, life and experience.” Clearly her work confronts ageism and the disdain of older female bodies that we often find in contemporary western society. 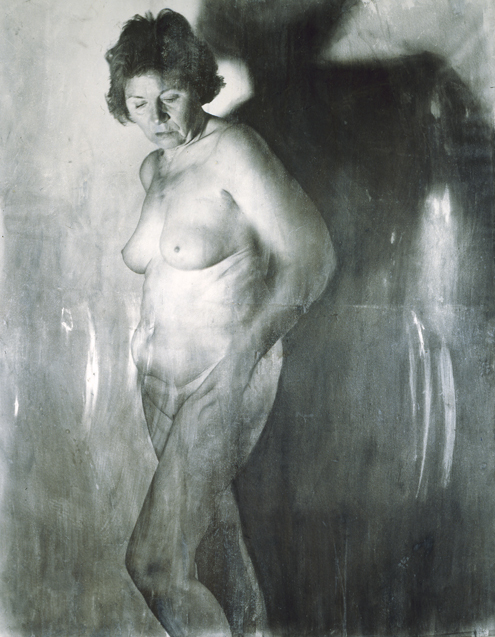 It’s wonderful to see artists celebrate ageing bodies and ageing femininity in this way. They make visible the invisible. They challenge negative representations of older women. They acknowledge the diversity of ageing. And they respect the histories (life stories) that make older women who they are. I’m keen to update this post so if anyone knows of any other artists working in this area, or is an artist themselves, do get in touch.